View Talay 6 is in the centre of Pattaya. It is 27 stories high between Beach Road and Second Road. 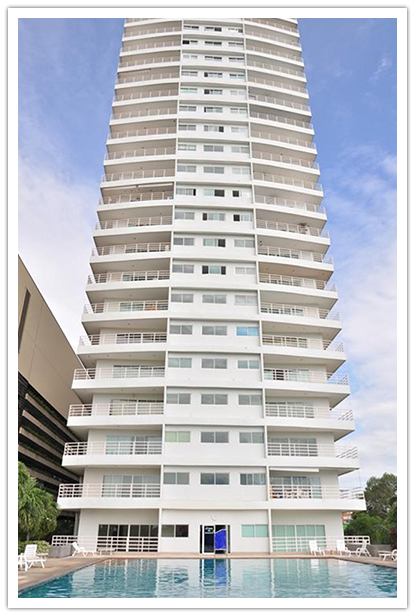 Sea view condos for rent nightly, weekly, monthly at discount prices. 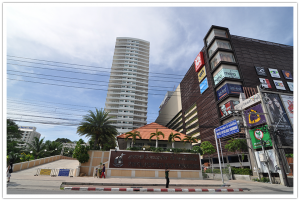 View Talay 6 is beach front in the centre of Pattaya next to Central shopping centre.The main entrance is from Second Road and takes you to the third floor where there are shops, the View Talay 6 lobby area and the lifts. 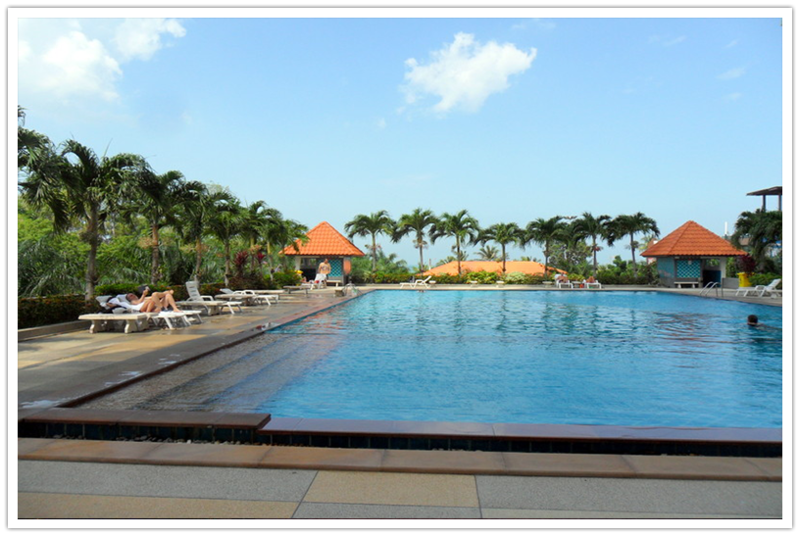 We have sea view condos for rent in Pattaya. View Talay 6 is right next to the beach on Beach Road. There is a private walk way to the beach which has an automatically locking gate. 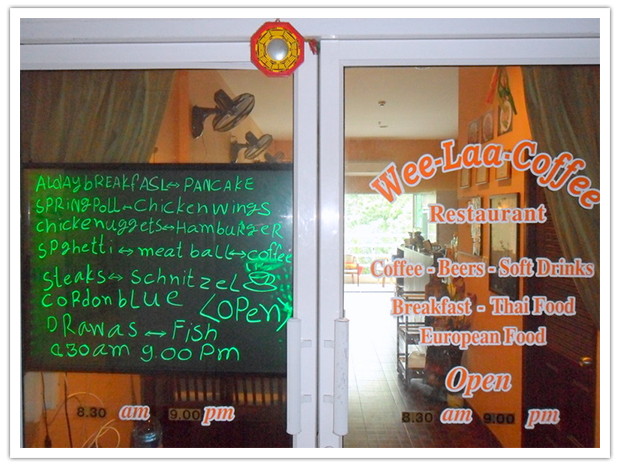 A swipe card is needed to unlock the gate to gain access to the beach or to enter View Talay 6. There is a 7/11 next door on Beach Road. There are 2 floors of basement parking and security guards 24 hours. 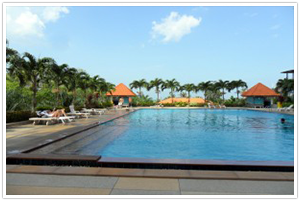 The large swimming pool is on the 3rd floor facing the beach. 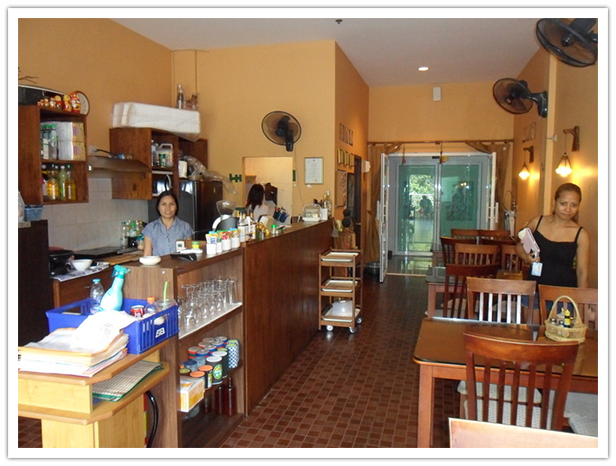 Outside restaurants deliver to View Talay 6 using Waiter on Wheels or Door to Door delivery service. 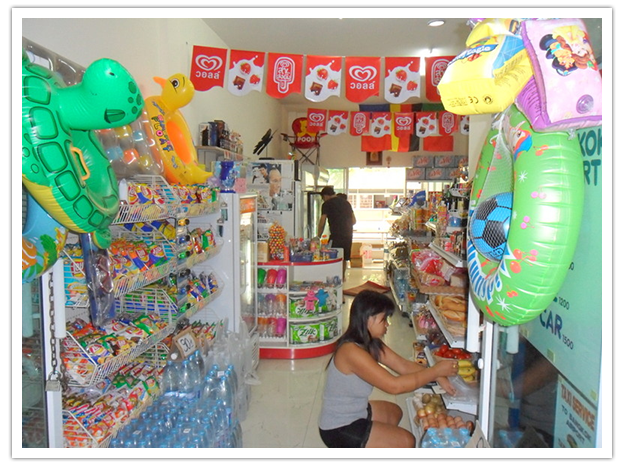 Fast food restaurants also deliver to View Talay 6. 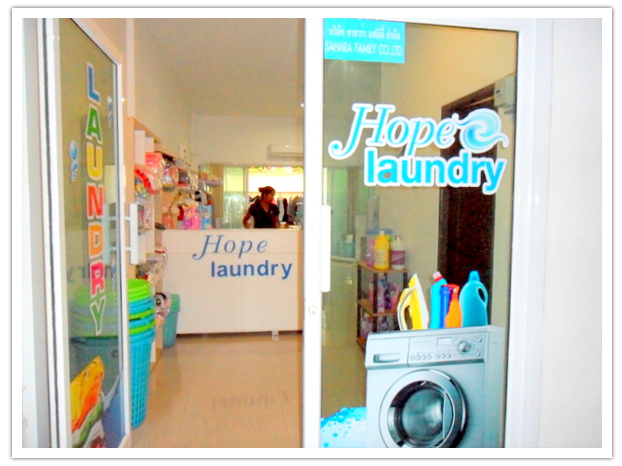 Hairdressing salons, massage shops, mini marts and laundry services are available. You can book a massage in your own room. The south side of View Talay 6 faces Walking Street and has beautiful views over Pattaya Bay, Koh Larn and Pratumnak Hill. View beautiful sunsets from your balcony and the all the lights of the floating restaurants and Walking Street. The north side of View Talay 6 faces Central Festival and Naklua and is cooler than the Walking Street side.Stunning sea views to Naklua can be seen from the lift area going back towards Second Road end of View Talay 6. This is the cool side of the building. Stay cool and enjoy the view from the balcony from morning till night.Central Festival is immediately next door and is 18 stories high. If you are below the 20th floor on this side of the building you will be facing the concrete wall or the parking building of Central. The Hilton Hotel is 34 stories high and is at the front side of View Talay 6. This is the cool side of the building. Stay cool and enjoy the view from the balcony from morning till night. The views shown in our photos are genuine views from the condo. Be very cautious when booking a room on other sites that do not show the view- usually the curtains are drawn to hide the fact there is a concrete wall. 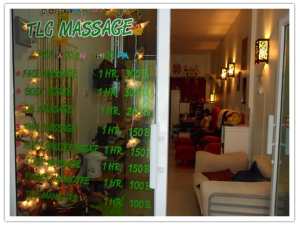 Restaurants, massage shops, hair salons, mini marts, coffee shop and laundries are on the third floor. The main entrance to View Talay 6 is from Second Road. 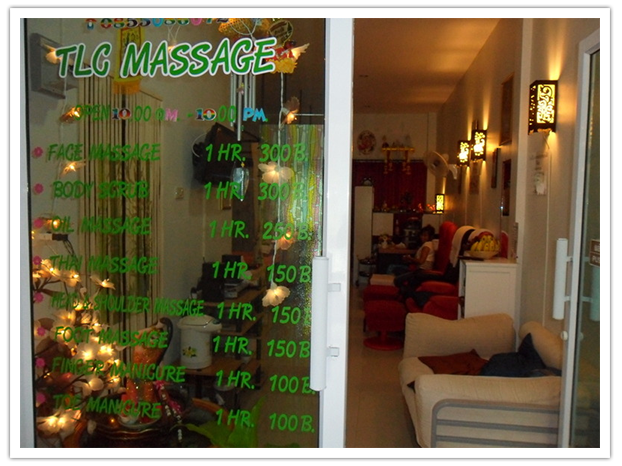 View Talay 6 is next door to Central and across the road from the beach. A private walkway goes directly to Beach Road. 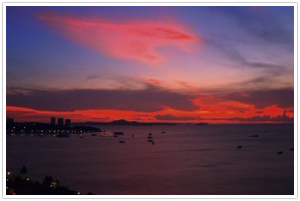 The Walking Street side of View Talay 6 has beautiful views over Pattaya Bay and stunning sunsets. 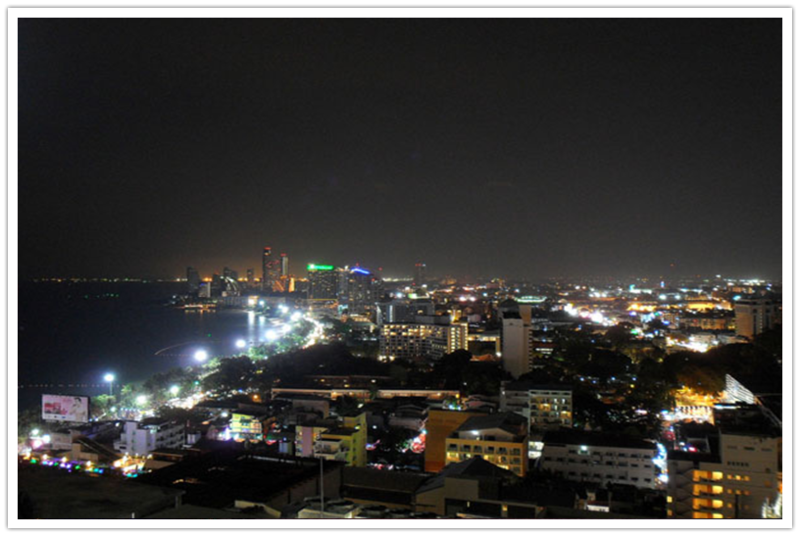 The condos nearest Beach Road have the best views.The Central side of View Talay 6 has beautiful views of Naklua and night lights if above the 20th floor. The condos closest to Second Road have the best views on this side of the building. 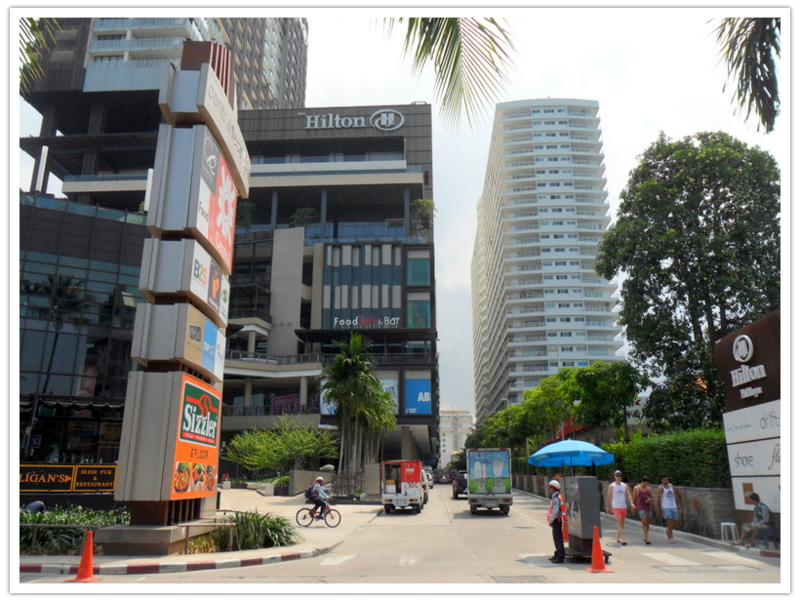 The Hilton Hotel is next door to View Talay 6 above Central Festival at the front of the building. The View Talay 6 reception desk is in the main lobby. It is open 7 days a week. Security guards are on duty 24 hours. 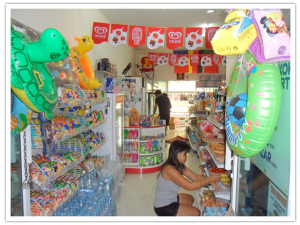 Use the private walkway to Beach Road to get to the beach and the 7/11 or jump on a baht bus to go to Royal Garden Shopping Centre or Mike’s Shopping Mall. Go to Walking Street by baht bus or walk. Bali Hai pier is at the far end of Walking Street. The automatically locking gate is operated by swipe card to enter and exit. The views shown in our photos are genuine views taken from the condo advertised. Great room, great view, great service. I booked in the UK using Paypal. When I arrived I checked in and was shown to my room. I was really jet lagged, so the super comfy king size bed was just heaven. It was really quiet and the blockout curtains let me sleep for hours during the daylight. The huge TV with HD channels and loads of sports channels plus the big comfy sofa meant that I was very happy to stay in my room and relax. My girlfriend loved it- Central Festival is just next door and the beach is right across the road. Many evenings we sat on the balcony enjoying the stunning night view of Naklua and the beach. We even had an ice bucket and champagne glasses to celebrate. 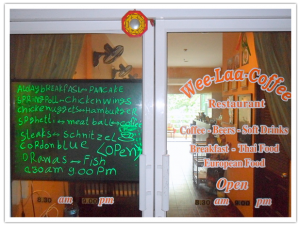 At 1,800 baht per night (no extra charges) it was like staying in a luxury hotel for half the price.